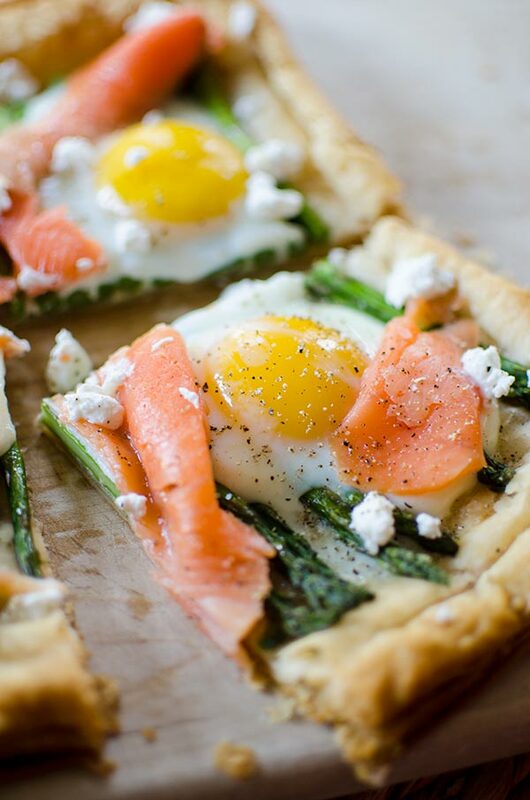 An impressive but simple brunch dish, this recipe for asparagus and egg tart with smoked salmon on a puff pastry crust will become a favourite. When it comes to Easter, I think that eggs are the quintessential ingredient; both the sweet chocolate variety and the fresh, local chicken variety. 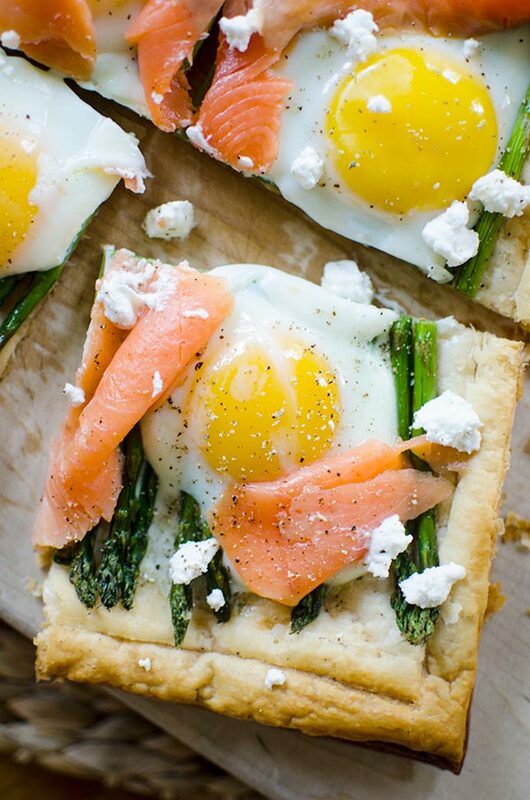 Today, it’s all about the fresh variety and I’ve got what I think might be the ultimate shareable brunch recipe – it’s a puff pastry tart with asparagus, eggs, smoked salmon and goat cheese. Talk about a dish for entertaining that seems fancy and complicated but really is insanely simple. But trust me, there will be plenty of “oohs” and “ahhs” when you bring it to the table. And did I mention, it’s absolutely delicious? Not only is it perfect for Easter, but it’s just perfect for spring. Think sweet roasted asparagus, creamy and tangy goats cheese, a hit of smokiness and saltiness from the smoked salmon, and perfectly cooked runny egg yolks. And to tie it all together, the vessel of choice is a flaky and crispy puff pastry crust. This recipe has all the elements for the perfect brunch. As anyone who loves to cook knows, it all starts with the quality of your ingredients. We’re so lucky here in Canada because we’re able to get fresh high-quality, and local eggs in stores. As a general rule, whenever you’re able to find ingredients that are local, buy them! You’re supporting your local farmers, their families and the local economy. It truly is a win-win situation, plus the product will be fresher and you might even find that local produce is cheaper than imported goods. And keep your eyes peeled for local asparagus, it will be hitting shelves before we know it. And now for the recipe – let me know if you give it a try in the comments below. Score a 1/2" border around the edges of puff pastry and prick all over with a fork. Bake for 10 minutes. Remove from oven, and gently press down pastry if it has puffed up. Arrange asparagus on top of pastry. Brush with olive oil and sprinkle with salt. Roast for 10 minutes and remove from oven. Carefully break the eggs, one at a time, into a small bowl or dish, then gently pour each egg onto the tart. Repeat with remaining eggs. Bake for 10-12 minutes or until egg whites are cooked and yolks reach desired doneness. Remove from oven, carefully arrange smoked salmon on top and crumble with goat cheese, freshly pepper and a sprinkle of salt to taste. Cut into four pieces and serve. 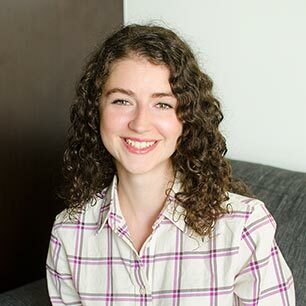 D​isclosure: I am participating in the Egg Farmers of Canada campaign managed by S​J Consulting.​ I received compensation in exchange for my participation in this campaign. The opinions on this blog are my own. Thank you for supporting me and my sponsors and allowing me to create recipes like this asparagus and egg tart with smoked salmon. Beautiful looking tart and also so flavorful! I agree on supporting local producers, we buy all our organic produce every saturday at the Farmer's Market. It looks great! I'm excited to make it for next time me and the friends have brunch! I'm also thinking it could be a nice luxury breakfast for myself, but I don't have a microwave at home. Do you think it would work to make it in advance and eat it cold? Hi Matilda, you can definitely make it in advance and eat it cold -- the yolk of the eggs won't be quite as delicious, but it's still good! You can also heat it up in the oven, I would try at 200F for about 10 minutes. Let me know how it goes! Those eggs look delicious. 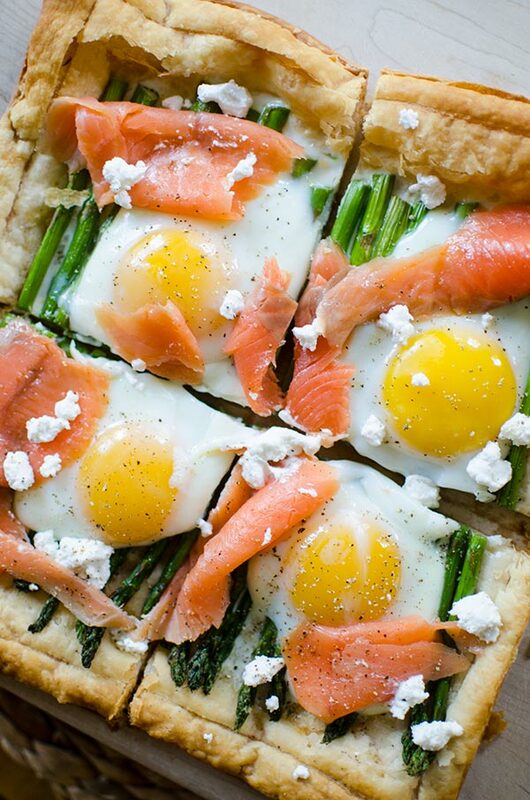 I love the use of the puff pastry here, and smoked salmon is always a winner. Great idea for breakfast! Hi Lori, just a standard sized sheet pan or cookie sheet would work here. I hope you enjoyed!